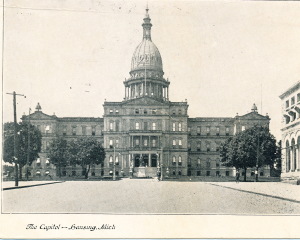 Stacy was one of only five Democrats elected to the Michigan Legislature in 1906. Also, he was elected from a rural county in Northern Michigan which had the reputation of electing Republicans. What would he do? Would he follow his platform? With whom would he align himself? 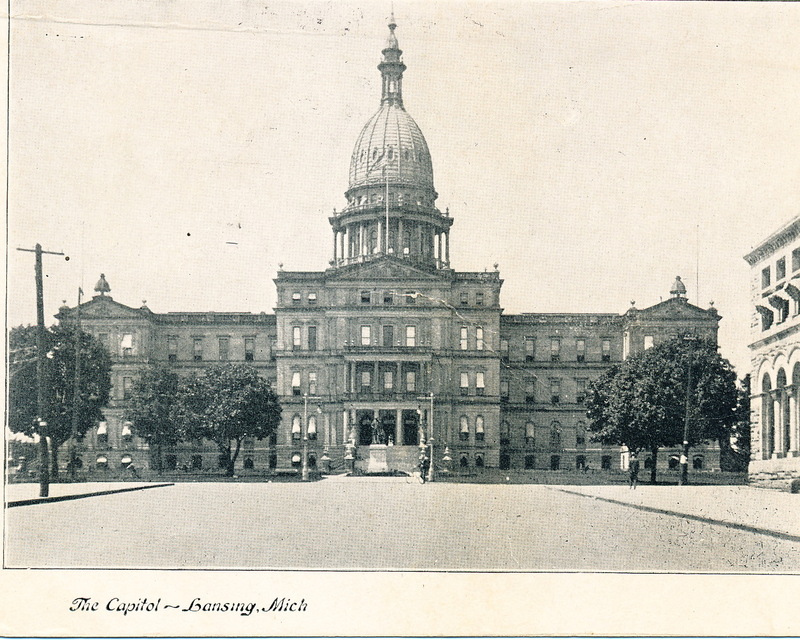 The citizens of Manistee were very interested in this person whom they had just sent to Lansing. So was the press. 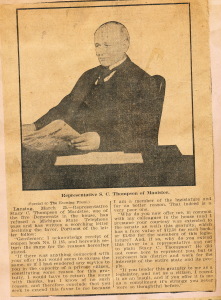 “If there was anything connected with your offer that would seem to excuse the same, or if I had rendered any service to you in the capacity of a private citizen, constituting some reason for this gratuity, I would have to return the same with thanks, but I know of no such reason, and therefore conclude that you seek to extend this favor to me because I am a member of the legislature and for no better reason. That indeed is a very poor one. 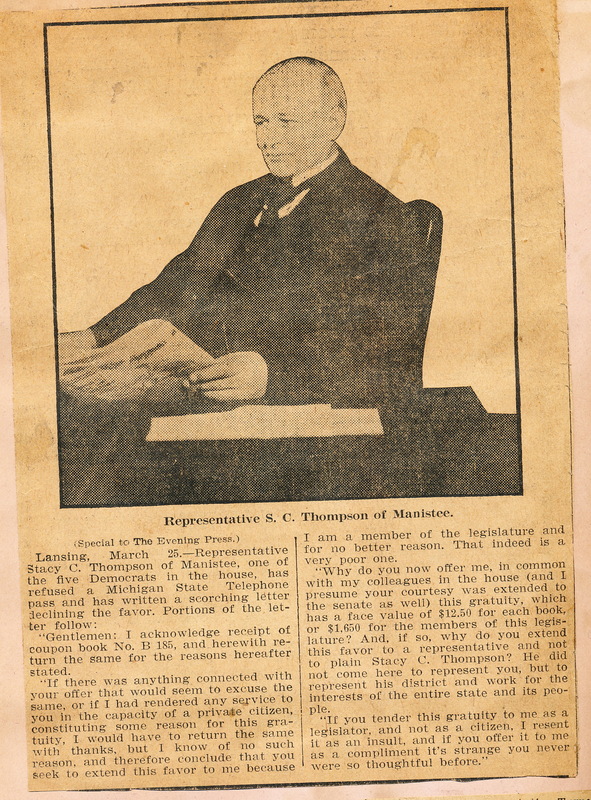 “Why do you now offer to me, in common with my colleagues in the house (and I presume your courtesy was extended to the senate as well) this gratuity, which has a face value of $12.50 for each book, or $1,650 for the members of this legislature? And, if so, why do you extend this favor to representative and not to plain Stacy C. Thompson? He did not come here to represent you, but to represent his district and work for the interests of the entire state and it’s people.